Our simple human minds have so many flaws. One of them is that we doubt. A lot. Even when God has shown forth many signs and miracles, we still doubt our faith. We doubt our testimonies. We doubt that God is real. "Did I really feel those feelings?" "Have I really had a witness?" One of the greatest skills that you can learn is the ability to have faith even in times of doubt. Because we all have times of doubt! Even those who have always been strong in the gospel, even those who have always had a testimony, everyone has moments where the devil puts doubts in their mind. And sometimes these doubts are hard to dismiss. But the important thing is that you don't let these doubts into your heart. Remember the love that God has shown unto you throughout your life, and try and keep those grateful thoughts in your heart and in your mind so that your doubts will go away. 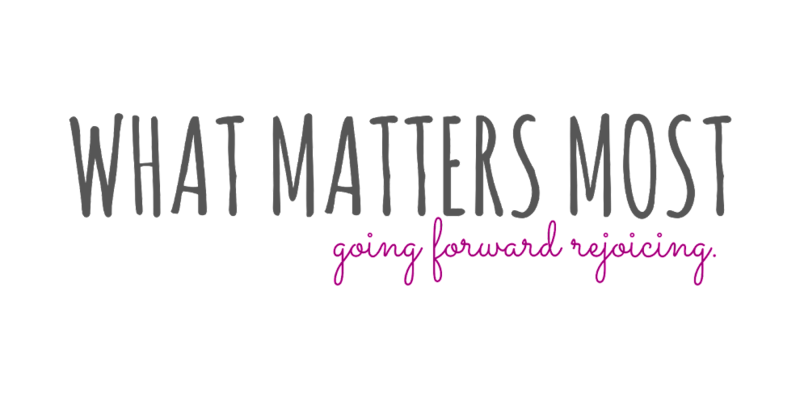 Don't even give negative thoughts the time of day! Sometimes we lose that conviction that we once held, usually because we have not nourished our testimonies well enough. You guys, it happens. And it's okay. We aren't perfect, and God doesn't expect us to be. What's important is that you continue to show faith and trust in God, even if you are struggling to feel Him near you. The more you exercise your faith and do all that you can to believe, the more open you will be to feeling the Spirit, and that is how you can banish doubts from your mind. Jake's Story from Milestone Creative on Vimeo. "Even if I have to pretend I believe, maybe that's better than what I've been doing." Doubts come. They come because Satan doesn't want you to feel loved or feel the joy that comes through the knowledge of Christ's Atonement. But they can be dispelled. 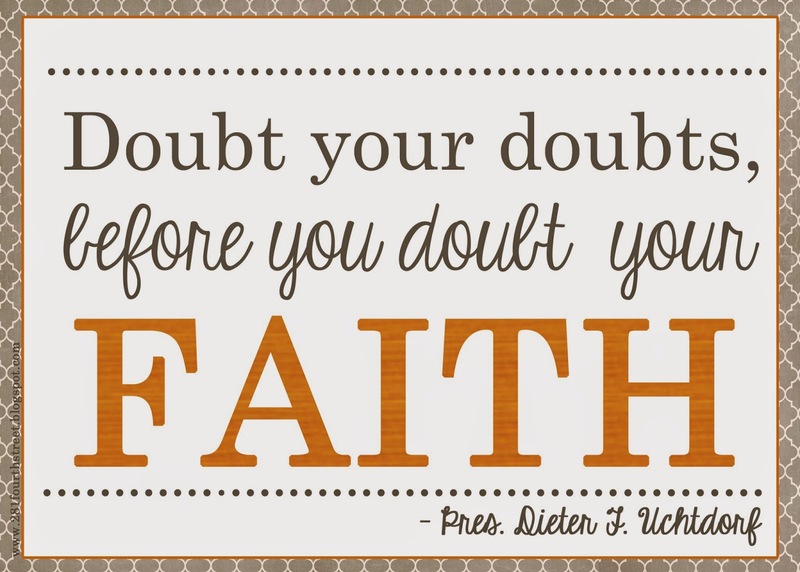 Heed President Uchtdorf's advice and "doubt your doubts before you doubt your faith." Hold strong to what you know, and exercise belief and hope in the things you aren't sure about. 22 - Verily, verily, I say unto you, if you desire a further witness, cast your mind upon the night that you cried unto me in your heart, that you might know concerning the truth of these things. 23 - Did I not speak peace to your mind concerning the matter? What greater witness can you have than from God? When you doubt, consider the times you have felt the Spirit. Consider the times you have felt God's love. If you once knew for a surety that God exists and loves you, is that not still true now? Do all that you can to feel the Spirit close to you. In the video, he said, "There was no book on Atheism that could make me feel that way. In an instant, I knew I was loved, I knew just how lost I had been, I knew I was saved, and I knew I was home." The Spirit is really the one who can drive doubts away. Because the feeling you get when you learn of God and of the truthfulness of His gospel is unmistakeable. Yes, doubts come. But the important thing is that we ignore them and that we continue to exercise hope and faith, even when times are hard. Show God that you are willing to trust that He is there, even if it is hard to believe it sometimes. I promise that as you open up your heart and come unto Christ, you will know through the power of the Spirit of the truthfulness of this gospel. Have a great weekend, and keep the faith!